Orchid products are handcrafted and designed for maximum flavor and overall enjoyment. Their proven processes and passion for what they do carries through into our products. Orchid has the highest terpene content in the state which is a major contributing factor to the overall experience and efficacy. With proprietary hardware, our vape products have an unrivaled hit that allows for small to large dosing. This inspired blend is a flavorful berry sensation. Great for daytime use, this classic strain is said to help you de-stress while boosting happiness & relaxation accompanied by a wonderful taste of strawberries! Strawberry Cough is a great solution for managing social anxieties and to balance yourself in times of elevated stress. 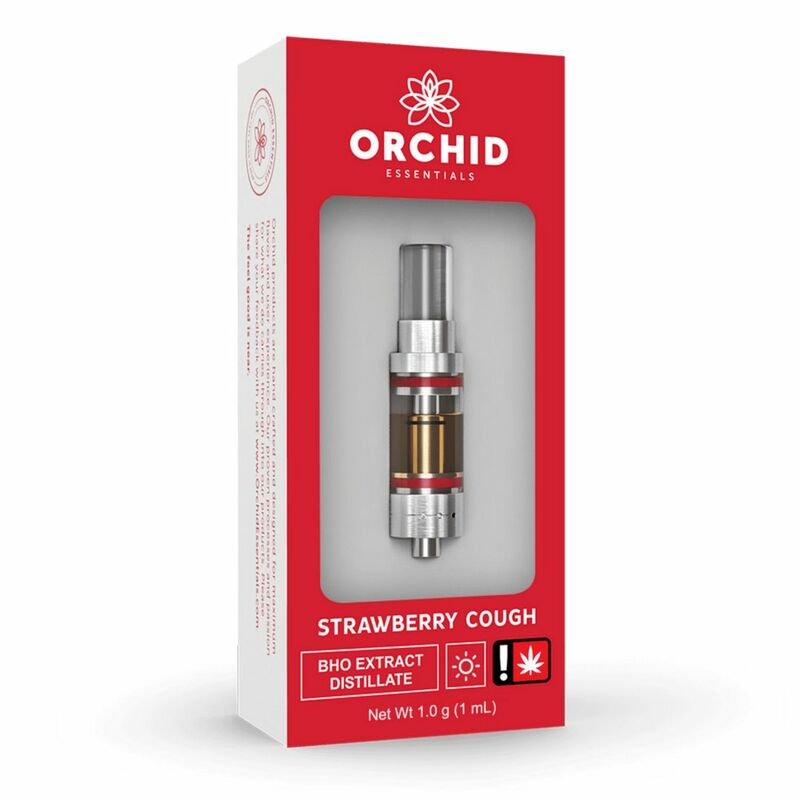 Out of all the vape cartridges I've ever gotten, I think this Strawberry Cough from Orchid is my favorite. Orchid is expensive but its a smooth, tasty pull that hits very nicely (and I love using it with a bong!) and I always enjoy.